We are supporting this challenge and need people to share their experience with us. 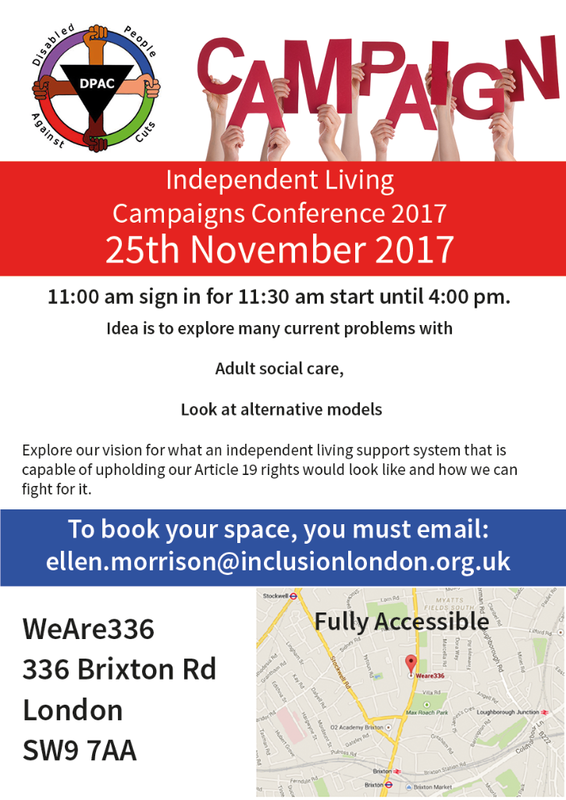 Alternatively you can email Svetlana.kotova@inclusionlondon.org.uk to share your experiences. We need responses by the 6th of April. With an impending high court challenge against the Access to Work cap, the government has announced it is increasing the cap. They say this will affect fewer Deaf and Disabled people. DPAC thinks that any form of cap is inappropriate and discriminatory. Any cap hits those with the highest support needs, effectively penalising Deaf and Disabled people with the highest support needs and impacting most on certain impairment groups. The new cap has been increased from 1.5 x the average worker’s salary (£42,100) to 2x (£57,200) but is still a fixed limit set in an entirely arbitrary way whereas costs for highly specialised equipment and good quality professional interpreters tailored to an individual’s needs can exceed this amount or vary from year to year. There is no financial reason for a cap given that investment in Access to Work makes a return on investment to the Treasury through taxes, without taking into account the added cost benefits of savings to the NHS or social care budgets. The cap is also just one issue within a whole range of problems that Deaf and Disabled people are experiencing with Access to Work. These include administrative and financial errors on a scale that is making employment unviable for many, alongside cuts and restrictions to individual support packages that are placing intolerable strain on Deaf and Disabled people doing their best to stay in work. An urgent review of the scheme in consultation with Deaf and Disabled people is well over due. See the statement on Parliament.uk here. It is worth looking at the numbers to understand the scale of the issue, and to compare the situation under DLA and PIP. The main difference between the 2 benefits, apart from the descriptors, which with PIP were meant to lead to a reduction of 500,000 fewer claimants, is the introduction of Mandatory Reconsiderations. Mandatory Reconsiderations are a system of internal appeals, designed to reduce the number of appeals by reviewing and revising if necessary a benefit decision within a shorter timeframe. Where appeals could take one year or even 18 months these days to be heard, a mandatory reconsideration can take around 10 days, because the government has imposed targets. That is the good news. 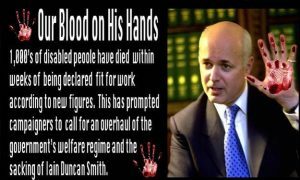 The bad news is as for sanctions, mandatory reconsiderations are under the direct influence of DWP Secretary of State, and are not independent. The initial benefit decision is supposed to be reviewed by a different Decision Maker, but around 84% of initial benefit decisions are being upheld, which leaves a claimant with only one option: to appeal. 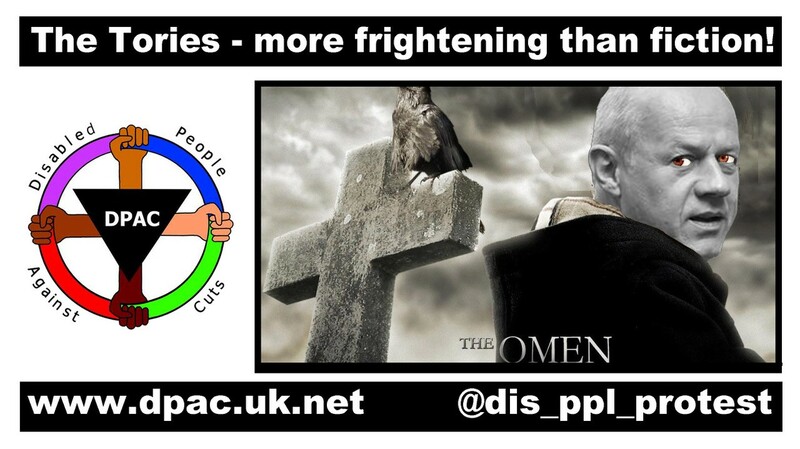 Before the introduction of PIP in 2012, there were 3,253,810 DLA claimants, but only 71,744 appeals, which is 2,20%. 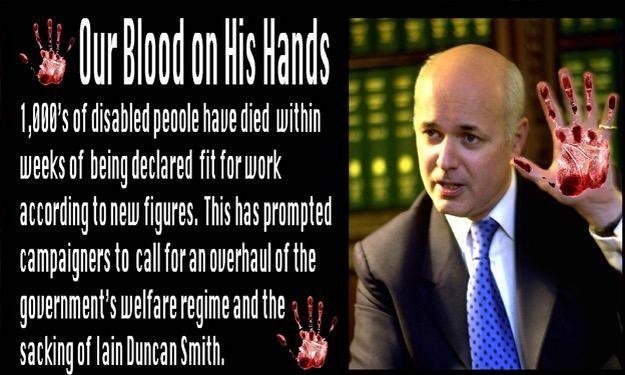 Let’s remind ourselves that claimants could directly ask for an appeal and that DWP would lodge it on their behalf. Now let’s compare this situation with PIP today. In 2016/2017, there are only 1,409,027 PIP claimants (and still 2,263,162 DLA claimants), and the number of Mandatory Reconsiderations is 669,000. This means that almost ½ the people undergoing a PIP assessment are dissatisfied with the outcome and ask for a Mandatory Reconsideration. 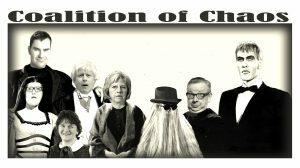 Knowing that 80% of mandatory reconsideration upheld the initial PIP decision, you would expect around 535,200 PIP claimants lodging an appeal. 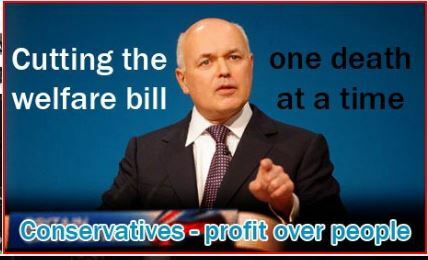 In fact, the number is 104,205, which only 19% of the number of claimants expected to appeal. Without Mandatory Reconsiderations, the number of PIP claimants lodging an appeal would have been 669,000. If the level of overturned PIP decisions is maintained (64%), it means that 424,160 PIP claimants would have had a PIP decision overturned in their favour. That is a real denial of justice. Cara Williams, a PhD student at Lancaster University is conducting research into disabled people’s experience of working for small and medium size organisations (SMEs) , and the SME experience of employing disabled people in their workplace. She is looking to recruit twenty disabled people and twenty small and medium size organisations to take part in interviews . Today, the 21st of December, the High Court judge Mr Justice Mostyn allowed the claim in the case of RF v Secretary of State for Work and Pensions. The case was brought by a Disabled person with mental health support needs to challenge the changes the government made to Personal Independence Payment Regulations in March 2017[i]. These changes prevent thousands of people who cannot plan and follow a journey due to psychological distress from qualifying for higher rates of this benefit or qualifying at all[iii]. 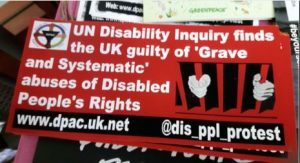 The Public Law Project, who represented RF argued in court that the changes are discriminatory and unlawful, because they go against original policy intent of PIP[iv]. “This is a hugely important case. It challenges the discriminatory way the government treats Disabled people with mental health support needs. The outcome can make a difference to thousands upon thousands of Disabled people. We have always believed that these changes are discriminatory and unfair and should have never been introduced. It is incomprehensible that the government pledges more support for people with mental health support needs and at the same time introduces, through the back door regulation changes that prevent many thousands of Disabled people with mental health support needs from qualifying for this essential benefit. The government’s actions to change PIP regulations and single out people who cannot travel because of psychological distress are a brutal attack on the rights of Disabled people. Today’s case illustrates the lack of concern for Disabled people and the government’s inability to listen to us and engage with us. It is extremely worrying that many of us feel the legal action is the only way for us to get heard”. “We are pleased with the judgement today. It will make a huge difference for thousands of Disabled people with mental health support needs. 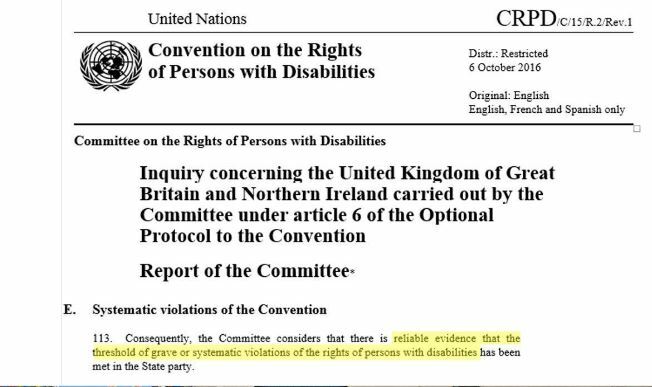 We have to remember that this challenge is taken in a context when the UN Committee on the Rights of Persons with Disabilities found systematic and grave violations of Disabled people’s rights a year ago. And again in August it called the situation Disabled people are in a ‘human catastrophe’. 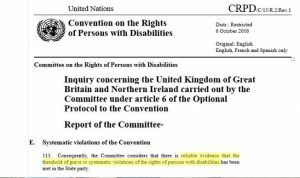 The UN specifically called on the Government to repeal changes to PIP regulations because they breach our human rights under the Convention”. [i] Personal Independence Payment is a new benefit which replaced Disability Living Allowance for Disabled working-age claimants. The purpose of the benefit is to compensate for extra costs of disability. Eligibility for PIP is a points-based system where points are assigned to descriptors illustrating the difficulties person experiences in carrying out specific activities. Inclusion London supported the case from the start and provided a witness statement. 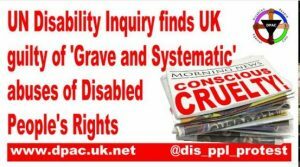 [iv] Statements made by the Government prior to 2014 as well as the Government’s 2012 Response to the consultation on PIP clearly express the intention of PIP to assess need rather than make decisions on the basis of impairment labels. The High Court has found that part of the rules governing Personal Independence Payments are unlawfully discriminatory against people with mental health impairments. The Public Law Project’s client, RF, won on all three grounds of her challenge (RF v Secretary of State for Work and Pensions). The judge quashed the 2017 Personal Independence Payment (PIP) Regulations because they discriminate against those with disabilities in breach of Human Rights Act 1998 obligations. Because they were discriminatory, the judge also found that the Secretary of State did not have lawful power to make the Regulations (i.e. they were “ultra vires”), and that he should have consulted before making them, because they went against the very purpose of what PIP regime sought to achieve. A digital version of the decision will be available shortly here: https://www.judiciary.gov.uk/judgments/. Further enquiries can be made to o.persey@publiclawproject.org.uk. There is a Work and Pensions Select Committee inquiry on assistive technology for Deaf and Disabled people in work. Your answers to the questions below, which have been set by the Select Committee and some additional ones by Inclusion London. Please send all responses to Henrietta.Doyle Henrietta.Doyle@inclusionlondon.org.uk by Monday 15 January 2018. The Committee invites evidence on the role of assistive technology in improving disabled people’s employment rates, drawing on the Government’s response to the Committee’s Disability employment gap report. What role can assistive technology play in removing barriers to work and helping disabled people stay in work? How should the Government support the development of this technology, and are there any particular innovations it should look to support? Are there barriers to obtaining assistive technology needed, if so what are the solutions to this? What are the greatest barriers to disabled people obtaining and maintaining work – is it lack of assistive technology or other issues? 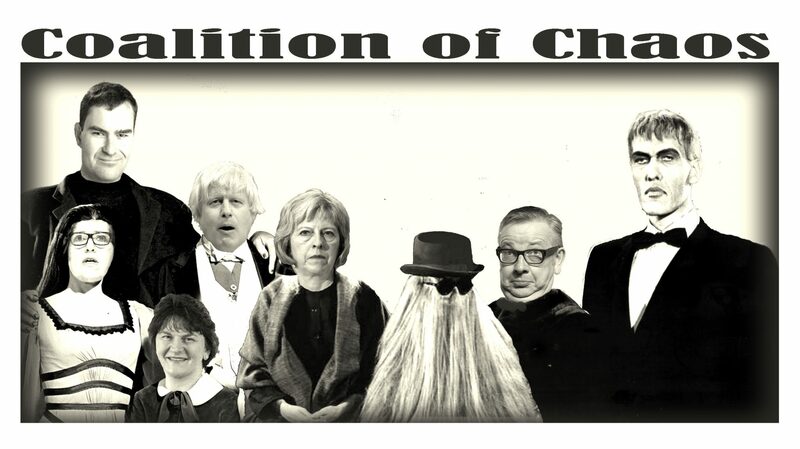 You are welcome to send a submission directly to the Select Committee. The deadline for this inquiry is 19 January 2018. In the video below from our in evidence this week, Committee Member Alex Burghart asks what specialist measures these companies have in place when they are working with someone with a serious mental health condition like schizophrenia: the answer was, effectively, none. All three companies insisted that no specialist medical knowledge is required to perform the “functional” assessments they carry out. Please let Al at Inclusion London know any difficulties you have had with accessing Universal Credit. We will pass this information to the DWP who are now interested in making the application process for Universal Credit (UC) more accessible. A lack of accessible information about UC itself, or about Advance Payments or any other aspect of UC. Communications that are not accessible, such as phone calls that are not accessible to Deaf people, or lack of Easy Read. Accessing/problems with the online application process. Venues for assessments that are not accessible. Having made some enquiries, I understand that I may be an affected individual because I underwent a ‘conversion’ assessment from older Incapacity Benefits / Income Support paid on the grounds of incapacity for work / Severe Disablement Allowance. My recollection is that this was subject to a decision made by you on or about the [insert date]. (a) have ensured I was entitled to the correct amount of ‘transitionally protected’ benefit at a rate whereby my converted Employment & Support Allowance award was equal to what I received before conversion and should have continued to be protected on a ‘mark time’ basis until the level of Employment & Support Allowance either caught up with my transitionally protected amount or until the 5th April 2020. I am therefore asking you to confirm that neither of the above omissions (a) or (b) occurred as a result of any official error on my claim. If official error has occurred and I have been underpaid in consequence of that error, please ensure that you pay me any amounts owing to as a matter of urgency and without unacceptable delay. Please note that this request is an official one which you must treat by way of an anytime review or supersession request. I must further point out that this request applies to a retrospective decision and therefore applies in cases where there may have been a subsequent successful appeal against any initial decision to refuse or otherwise restrict the Employment & Support Allowance award made. Likewise, the fact that I have since stopped claiming Employment & Support Allowance or taken up another claim to other benefits does not prevent me from making this request. So that I can check the accuracy of your records please treat this letter as a Subject Access Request and supply me with copies of my pre – conversion awards and all claim details pertaining to my Employment & Support Allowance claim from the point of conversion of my claim. Please also consider this as a complaint of potential maladministration on my claim and consider issuing me with an appropriate compensatory or special payment. On a final point, please make me aware of the effect which this may have upon any other benefits such as Housing and or Council Tax Benefit paid at the point of conversion. I look forward to hearing from you and trust that you will look in to and act on this request as a matter of urgency. The government has already closed 24 jobcentres since August this year. 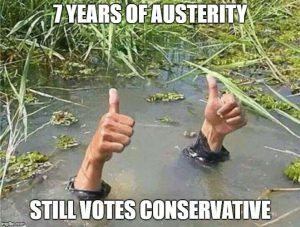 They plan to close a further 78 Jobcentres by April of 2018. 16 of these Jobcentres are in London. Poor people and people facing the biggest challenges need local jobcentres, not some superhub that they have to walk miles to reach. Benefit money is too little to cover regular trips on public transport. People will have to walk. And don’t be late or too ill to walk over a mile each way whenever the jobcentre demands it-– you’ll be up for a sanction! 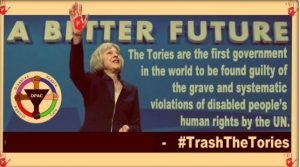 The Torys say that much of the jobcentres work is now done online, but 5.3 million people in Britain have never used the internet, and 10 million lack the basic digital skills. And millions of these people will be in receipt of benefits. Our local Jobcentres, Kilburn and Neasden, serve one of the most deprived areas in the country. If they are closed then over half of the borough of Camden and around two thirds of Brent will be more than half a mile from the nearest jobcentre, i.e. more than a mile round trip. These areas contain heavily populated areas: a lot of people are going to be affected. 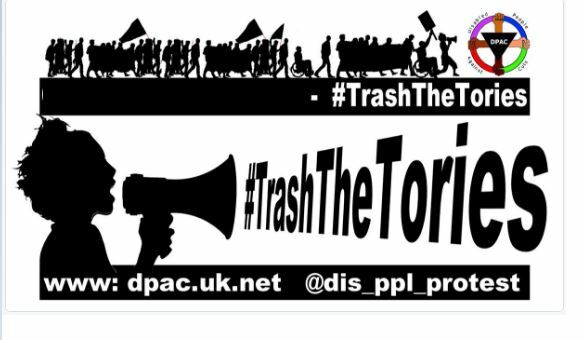 In amongst the people who can’t use the internet are hundreds of thousands of people who have lost their disability benefit because they aren’t disabled enough for the Tories. They may be able to walk just 200 meters, or sometimes panic when out and get lost, or nor be able to plan a journey to places they dont know, or have epilepsy. They may be seriously depressed or suffering from brain fog brought on by medication or illnesses like Fibromyalgia. They may be recovering from Cancer or waiting for a heart operation. They may have variable conditions that mean that they can’t guarantee being able to go out at all on any particular day. 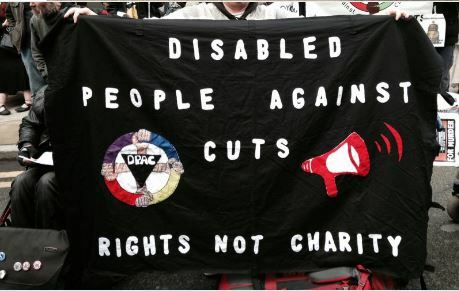 Let’s meet outside the DWP’s headquarters at Caxton House and let them know what we think about this. 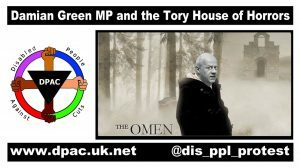 Save our Jobcentres! It’s been reported http://www.independent.co.uk/news/uk/home-news/disabled-people-interned-care-homes-nhs-cost-cutting-a8019906.html that across the country disabled people are receiving threats from their local NHS service that they may have to be moved from living in their own homes to a residential setting due to newly capped funding. I’m looking to speak to disabled people in this situation to raise awareness of the issue. Please note, it isn’t necessary that you’ve actually been moved to a care home but that you’ve been directly told this is a possibility. BBC Sunday Politics South East is making a news piece about the closure of Jobcentres. From next March people in the Whitstable and Herne Bay areas will have to travel to Canterbury, which can take up to an hour on public transport and cost up to £6.70. The BBC are looking for an individual or family who will be affected by these changes who would be happy to appear on TV and are available for filming on WEDNESDAY NOVEMBER 1. Filming will take around an hour. If you can help please contact the South East team on 0207 407 9292. Many thanks. Please send your experience of the ESA or PIP assessment or your experience of waiting for an assessment to Henrietta.Doyle@inclusionlondon.org.uk by the 8 November. Suggestions to improve the assessment process are also welcome. 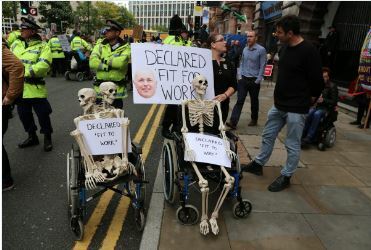 Inclusion London will be sending written evidence to the Work and Pensions Select Committee inquiry into PIP and ESA assessments and your evidence will be used to inform our evidence. We know that Universal credit is a mess, but what about HMRC Real Time Information system? 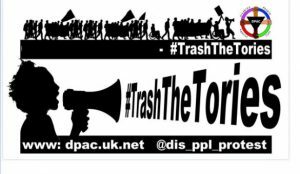 “Under universal credit, everybody’s monthly pay is automatically sent to Her Majesty’s Revenue and Customs through the pay-as-you-earn RTI—real-time information—system, and HMRC then sends that to the DWP so that it can do the universal credit calculation. There have been rumours for some time that the RTI system does not work very well. I have tabled questions about that, but the Minister has flatly denied that there is a problem. Indeed they can, because if the information is wrong, people’s benefit calculations will also be wrong. If over 5% of them were just late, never mind the ones that were missing or incorrect, we do have a serious problem. “difficulty making claims for universal credit, with many online claims seeming to ‘disappear’. Universal credit being underpaid because ‘real time information’ provided by HMRC regarding income is not always reliable or accurate. What is happening is that the IT is not doing what it is supposed to do. My hon. Friend the Member for Brentford and Isleworth (Ruth Cadbury) referred to the anonymous report in The Independent a couple of weeks ago by someone working in a jobcentre, who talked about the grim reality of administering universal credit, rather by contrast with the enthusiasm with which Tory Members have told us that people are working on this. That writer made the point that when there is a discrepancy between what people were paid and what HMRC says they were paid—in other words, an RTI problem—it takes ages to sort that problem out. Members representing constituencies where universal credit has been fully rolled out report endless mistakes, delays and errors, which take weeks and weeks to resolve. Another reason why this project’s roll-out should be paused and then fixed is to stop these problems being inflicted on tens of thousands more. The DWP has published the long awaited guidance on Reassessments for claimants with the most severe and lifelong conditions, with the applicable criteria. This will only apply to claimants in the Support Group or under UC who have been found to have Limited Work Related Activity capability. As with any decision which is discretionary, there will be no right of appeal. Developed in conjunction with some disability charities such as DRUK, the criteria are not related to specific conditions, but to broader categories which will apply to specific conditions but will also encompass others, when all the criteria are met. What if a disability assessor and a claimant’s GP or consultant disagree about the realistic prospect of recovery? 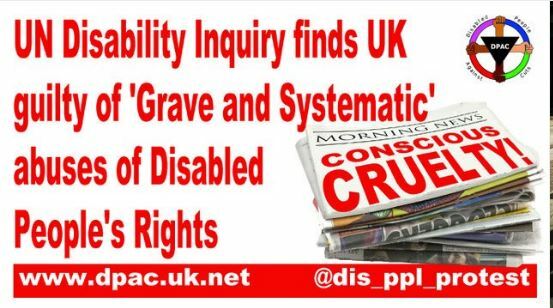 Could a disability assessor who is neither a GP nor a consultant overrule a GP or a consultant in that regard? You can tweet these pictures during the Tory conference. The conference hashtag is included and you can add your own text. 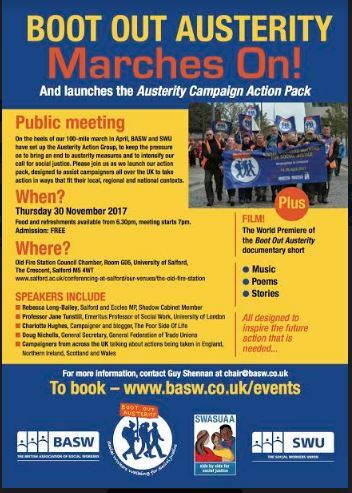 The burning issue right now is Universal Credit, but we all know the problems encountered with the Work Capability Assessment, PIP, sanctions, social care, the bedroom tax etc. The list is too long to list them all. 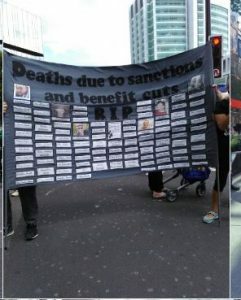 You may want to mention the UN inquiry and the UN report, but ultimately, what you want to say to the Tory party, is that their welfare reforms did not save any money, did not simplify the benefit system, did not make work pay, but that they have hurt people, they made them poorer, even destitute and that they drove some people to an early death. That will be the legacy of the past seven years for the Tory party. What happened to disabled people working in Remploy factories, since their closure in 2013? This is really important. When the Remploy factories were closed, the government promised to look after the disabled people who worked there, and a fund was set up for them. I’m doing some research for the BBC into what has happened to people who used to work in government-supported Remploy factories. If you worked for Remploy when the factories were closed in 2013, or know somebody who did, please get in touch either by email (sean.clare@bbc.co.uk) or on my mobile (07730575867). There were 2,000 people employed by Remploy factories when state funding was withdrawn. I’m trying to find out what happened next. This is not for reporting at this stage and any information provided will be treated with complete confidence.